When I was a child I loved playing with plasticine. I would try to sculpt everything and it was so much fun. I learned about polymer clay only 5 years ago and got back into sculpting. 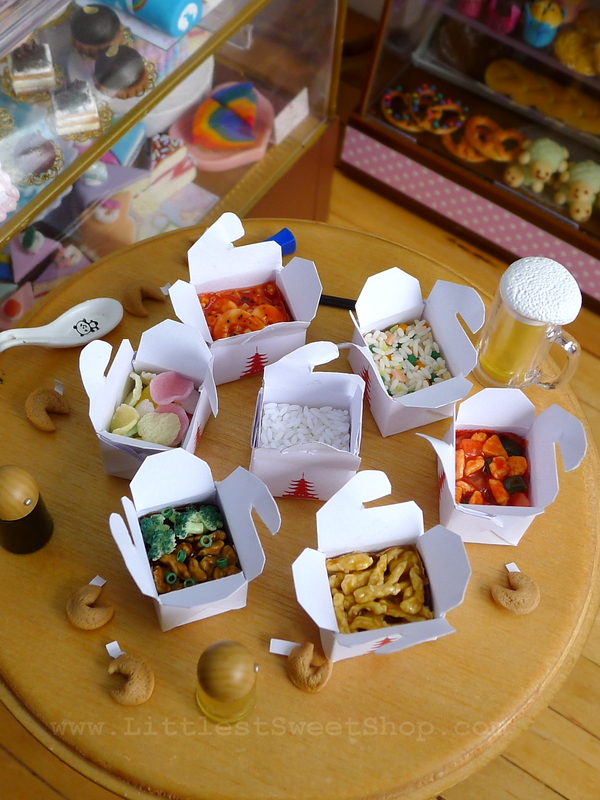 There were so many cute pictures of miniature food online so I wanted to make some for myself since I collected miniatures. Do you recall the first miniature you made? I made a macaron and it was small, but not miniature scale. I glued magnets on it to stick it to the fridge in the garage. 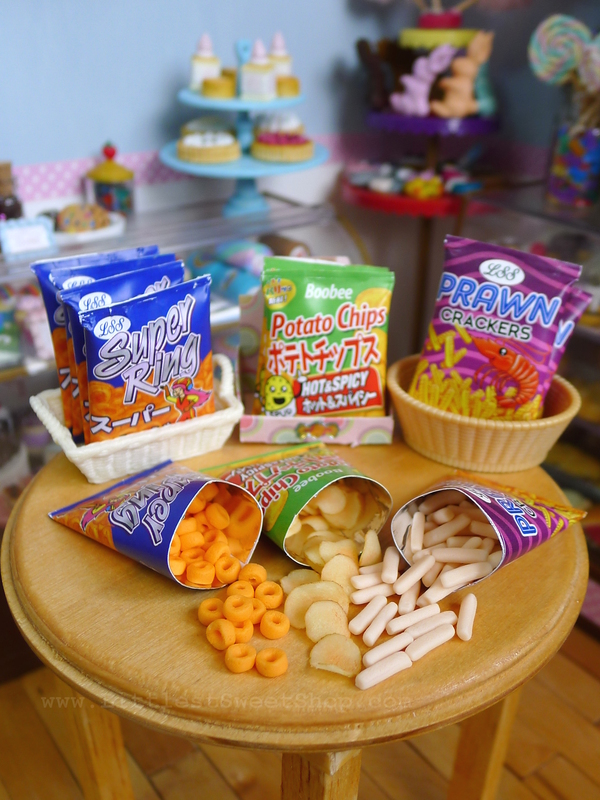 I love making miniature food since it is a challenge to make it look like the real thing. I enjoy the challenge and thinking up ways to model something more precisely. What is the most challenging miniature to make? 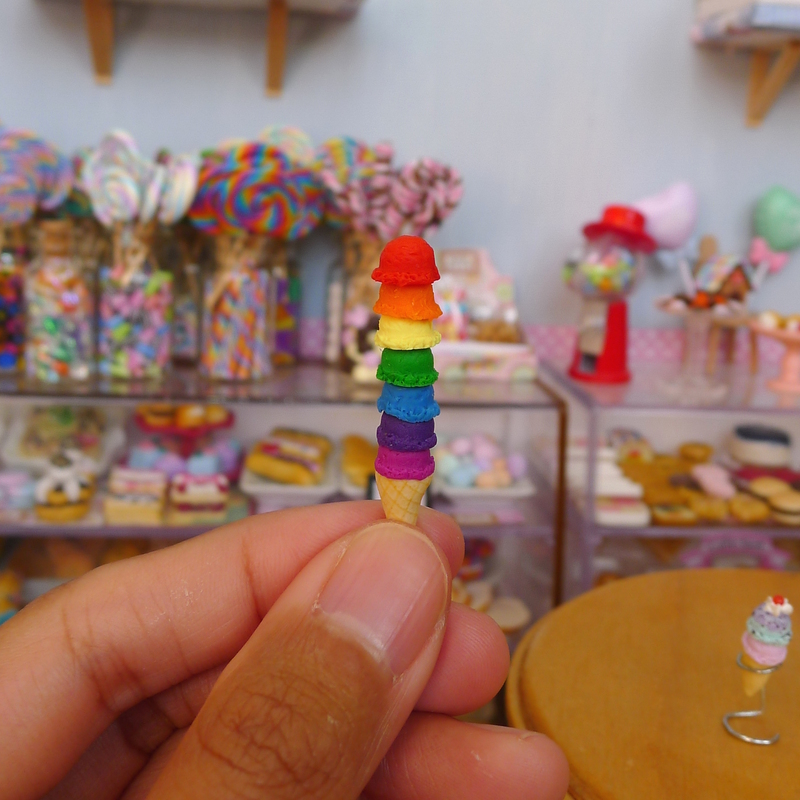 It is not really difficult, but I find making very small items like sesame seeds or hundreds and thousands sprinkles very tedious. To create a good miniature you have to make hundreds of these tiny elements and it takes long hours to achieve. I live in the English countryside and it is very quiet and peaceful here. It is so easy to start a project and work for a few hours non-stop with full concentration. 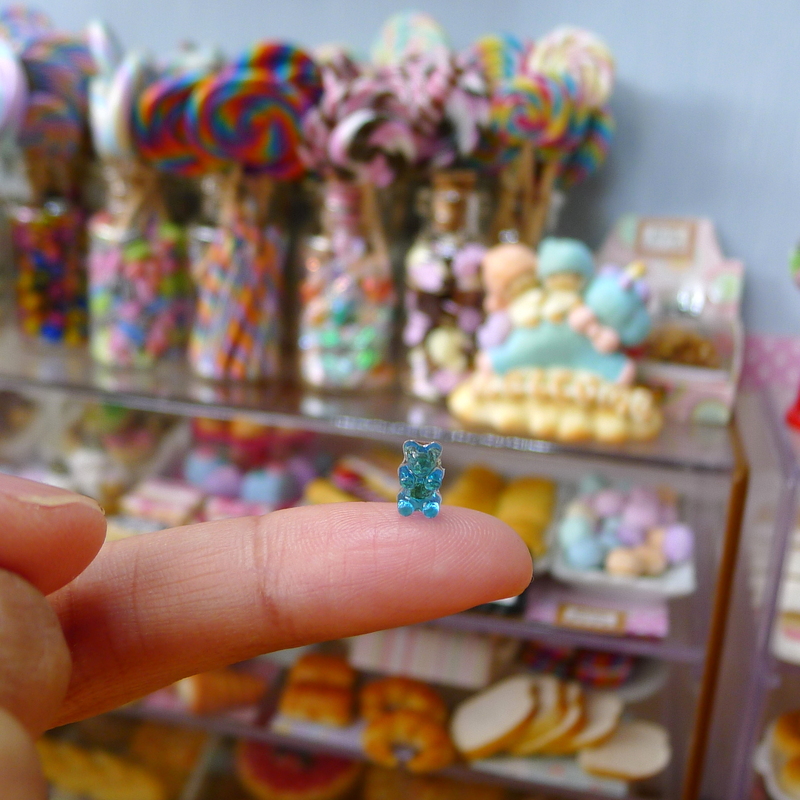 What’s the best way for fans to request a work, or purchase your miniature sweets? I take commissions and all they need to do is request it via the Littlest Sweet Shop website. I also sell some over-stocked items on Etsy. Never give up! 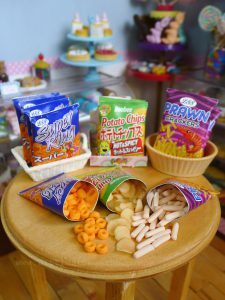 I had to practice making miniature food everyday solidly for the past 5 years and the early years were the most challenging. I still wasn’t as nimble with clay and making the fiddly bits made you feel so frustrated. 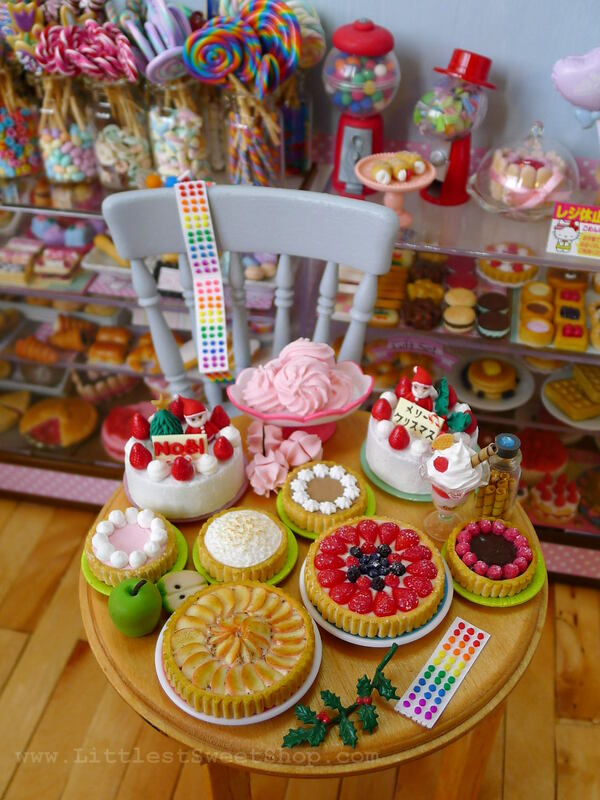 I have a set of wooden country-style chairs made by Mini Treasure Shop from Italy. They are gorgeous. Favorite sweet you like to eat? Ice cream and any candy with peanut butter and chocolate. 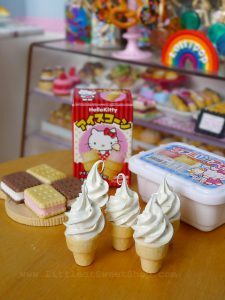 Cute and colorful things from Japan. And the beautiful countryside where I live. I think that there will always be people drawn to miniatures. It would be great to make the art more accessible and for big companies to produce more tools to make miniatures. HMS2, Nunu’s House, and BonneChance Yuri. A candy world with detailed rivers of chocolate and gingerbread houses. I am currently practicing ballet (IDTA Grade 5) and enjoy roller-skating. What’s something (most) people don’t know about you? 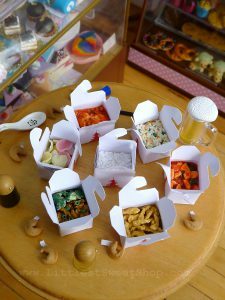 I will be making the food for the upcoming Upton House Doll’s House project that will be unveiled in December 2019 at Upton House and Gardens, Warwickshire, U.K.
Littlest Sweet Shop was created by Nadia Michaux who’s based in Norfolk, England. 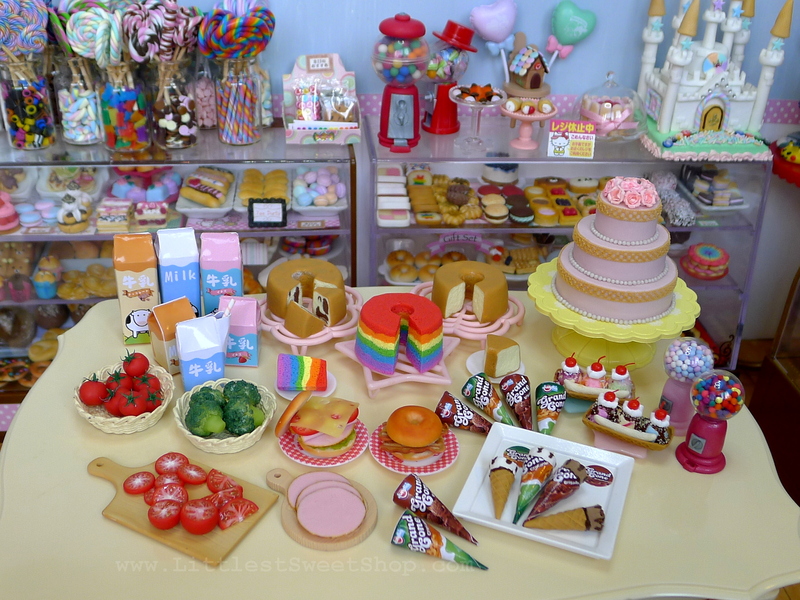 To see more sweets in miniature, check out the Littlest Sweet Shop site and shop the collection on Etsy. For weekly updates, follow along on Instagram, Facebook, and YouTube.